There are a lot of online poker players that never think to take a chance on video poker online. This can be quite a large oversight on their part, as video poker has a much higher win rate than most other online casino games due to the fact that unlike slots, the user has some control over the outcome of their bets and the don’t have to play head to head against real people who can act in a random fashion that can ruin even the best strategy. Playing video poker online is a fantastic way for new players to poker to learn how it works because it will teach them what hands they want to look to make if they move on to a weekly game with their friends or other online poker games where they are playing against other players. They won’t have to worry about bluffing or being bluffed, and they usually won’t have to worry about playing against any other hands so they can just focus on making the best hand they possibly can to win the most money for each bet. Another reason that playing video poker online is perfect for beginners to learn the game with is that the bets are very low. A few cents per hand can be all it will cost for the user to start making money on ever hand they win, which is also quite easy, as the pay tables are fairly generous, with most games being of the “Jacks or Better” variety. These payouts are even easier to get in some online casinos, as they will add in wild cards that you can substitute into a hand for a better chance at winning. The downside to these wild cards, however, is that if you make one of the top hands, or any hand in some cases, with them, the payout is lower than if they had built a natural hand. This is offset, however, by giving the players a much easier chance to make those top paying hands, so it can make the player more money in the short and long term because they are making more than if they had to throw out a straight because they got a deuce instead of the Jack that they needed if deuces were wild. Some rooms even have progressive jackpots that grow the more people play without winning the big one. These are generally given out when a player either builds one of the top hands, usually a Royal Flush or meets other criteria in order to take home a collective pot. The game also moves a lot faster than in head to head online poker games because there are at most two hands in play, and the game only has to wait on one human user. On a table with eight or nine players, a hand can take ten to fifteen minutes depending on how fast the current party is making bets and raises, or planning out their next move which can be very frustrating for someone who has folded early who then has to wait through all of this just to play the next hand. 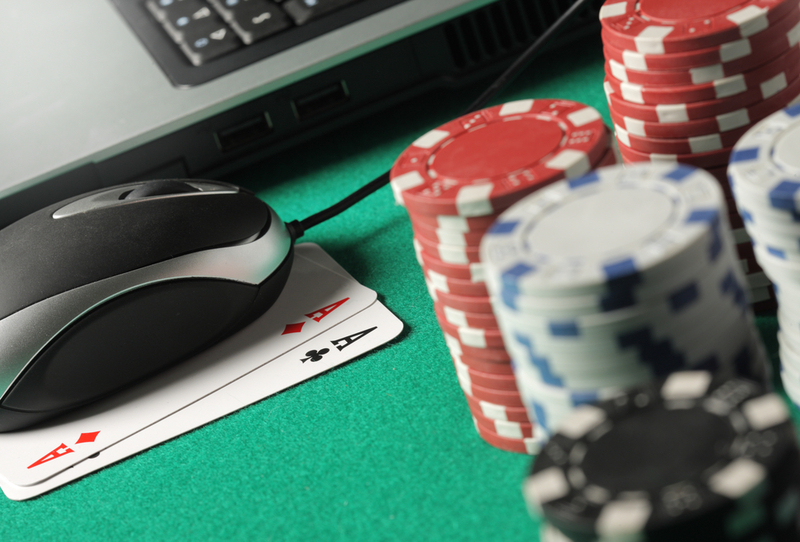 With video poker online, the most waiting that is involved is a few seconds for the computer to build its hand if there is even a house hand in the game at all, so the pace is perfect for someone who only has a few minutes to sit down and play. The last reason we will talk about as to why you should try out video poker online, especially if you’re a beginner, is that video poker strategy is minimal at best, and you can still win without one at all. You can start winning immediately upon playing the game, as long as you know the basic rules of poker, and even if you don’t as soon as you start learning how to make poker hands from the cards that you are dealt, you will start seeing results. There has never been a better time to get into playing video poker online, and it has never been easier to win a little bit extra once you know even the very basics of video poker strategy whether you are a beginner or someone who plays a lot but doesn’t have a lot of time, video poker is a great game with low risks that can be a lot of fun to play and learn with. Previous Post: Texas Hold’em is by far the easiest poker variant – here’s how it works!